Crown Prince Mohammad bin Salman (MBS) is continuing his dictatorial style of governing the Kingdom of Saudi Arabia and has launched an “aggressive” social media campaign against slain journalist Jamal Khashoggi and Omar Abdulaziz, a dissident residing in Canada. Jamal Khashoggi, a U.S.-based Washington Post journalist from Saudi Arabia who had become a critic of the kingdom's Crown Prince Mohammed bin Salman, was last seen entering the Saudi consulate in Istanbul on Oct. 2. After producing various contradictory explanations, Riyadh acknowledged that Khashoggi was killed inside the consulate building, blaming the act on a botched rendition operation. 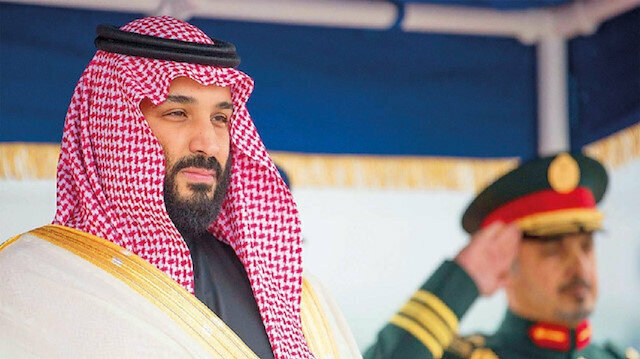 The Post also reported that the crown prince is still in close contact with former royal adviser Saud al-Qahtani, who is suspected of being involved in the murder of Khashoggi. Qahtani had been sacked due to the rhetoric toward the kingdom’s critics that led to Khashoggi’s death. In October two separate intelligence sources said that Qahtani gave orders over Skype to Khashoggi's killers at the consulate. More recently, a government source familiar with the matter said Qahtani featured prominently throughout recordings of the journalist’s murder. The Istanbul prosecutor's office has concluded there is "strong suspicion" that Saud al-Qahtani was among the planners of Khashoggi's Oct. 2 killing at the Saudi consulate in Istanbul. “The ouster of the previous crown prince, the detentions of royals and businessmen in the Riyadh Ritz-Carlton, the kidnapping of the Lebanese prime minister, and the kingdom’s diplomatic spats with Qatar and Canada,” were all headed by Qahtani, a New York times article titled “Behind a Saudi Prince’s Rise, Two Loyal Enforcers,” states. U.S. intelligence agencies have concluded the crown prince ordered an operation to kill Khashoggi, whose body was dismembered and removed from the building to a location still publicly unknown. Top Turkish officials have also tied his death to the highest levels of Saudi leadership. A Saudi court last week held its first hearing on Khashoggi's case in which Saudi Arabian prosecutors are seeking the death penalty for five of the 11 suspects in the case. The United Nations human rights office called the trial "not sufficient."